3) From 1971 to 1975 - covering the opening of the M4 and A329(M), the Public Inquiry into Woosehill, the announcement of the Inner Distribution Road - and a scaled-down Ashridge Interchange. We need to start with the M4 itself. Work on the Maidenhead By-Pass started in the 1930’s as a dual carriageway with cycle tracks and several junctions, but WWII intervened with just the River Thames bridge parapets in place. In 1946, the 'London-South Wales Motor Road' was announced. Its original route was to take in the path of the Maidenhead By-Pass and then extend westward through Winnersh roughly where the M4 is now, and continuing south of Reading, Newbury and Hungerford before taking a more northerly route to Bristol. The planned route was later changed to avoid south Berkshire beyond Maidenhead. In 1959, the first section of what became known as the M4 opened as the Maidenhead By-Pass. It was extended eastwards in the early 1960’s to Chiswick, and was intended to extend westwards through south Oxfordshire and Wiltshire towards Swindon, Bath and Bristol. There was a late change of plan announced in 1965, and instead of passing through Oxfordshire, it went south of Reading before heading north-west to re-join its original line. Three interchanges were eventually planned around Reading: Junction 10 to the east, 11 to the south and 12 to the west. Although there had been a much simpler design proposed in 1967, Junction 10 was to be built to motorway standard, to link with the new Wokingham Northern Relief Road and between the Sutton’s Seeds Roundabout in Reading and Amen Corner on the A329 east of Wokingham. At this point, speculation fed by secrecy and inept public relations resulted in a combination of fear, uncertainty and doubt. There was a huge outcry against motorway-standard relief roads which might link the M4 and M3 and obliterate Wokingham, Bracknell and Ascot. Many articles in the 'Wokingham Times' of 1968 and 1969 show just how this came about. With the permission of the 'Wokingham Times', we publish transcripts of these articles to show how the story unfolded. Eventually, the A329(M) was built in two phases. The first phase, from Winnersh to the A321 Twyford Road south of the M4 at Ashridge, opened in January 1973 and extended north to the A4 in February 1974. The second phase from Ashridge to Amen Corner, wasn’t even started until September 1973, but was completed 6 weeks early in November 1974, after which the temporary Ashridge exit was closed. Before the A329(M) was opened, the then Chamber of Trade was strongly in favour of building a permanent Interchange at Ashridge, while some others including the Wokingham Society, were strongly against. 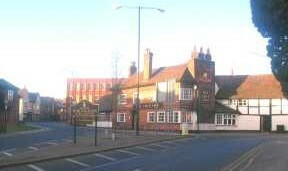 The opponents had supported plans for a south-eastern by-pass from Amen Corner to join the A321 where it splits into the Sandhurst Road and Finchampstead Road. They felt that this would have removed much through traffic from the town centre. It is understandable why there was such opposition to an interchange fairly close to the town centre. 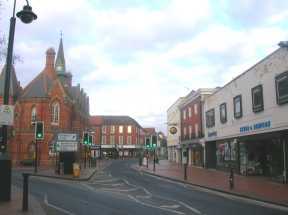 During the 1960s, Wokingham Town had grown at a faster rate than Bracknell New Town but without Bracknell’s Government finance. 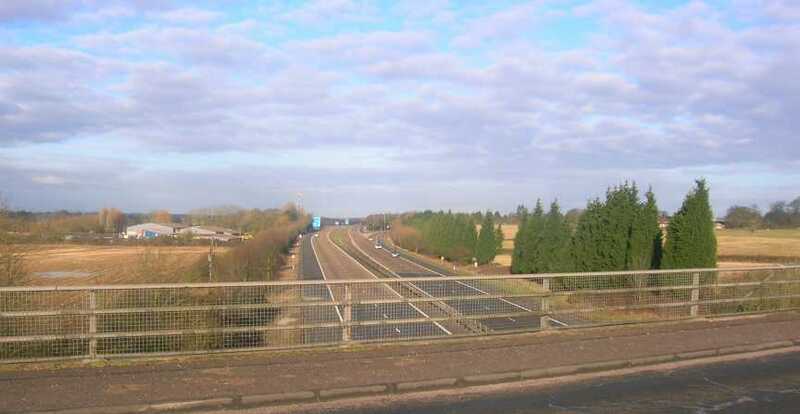 The proposed link road appeared to be completely out of proportion to its surroundings; it was feared that this would become a link from the M4 to the M3. A dual carriageway aiming straight at the heart of the old market town would have completely ruined the area. In addition, perhaps it was felt that by closing off this junction, the town would be spared much more building. This was not to be. In retrospect, it is likely that the south-eastern by-pass described above would by now have expanded Wokingham's built-up area even more than it has, because it would have become the new settlement boundary. 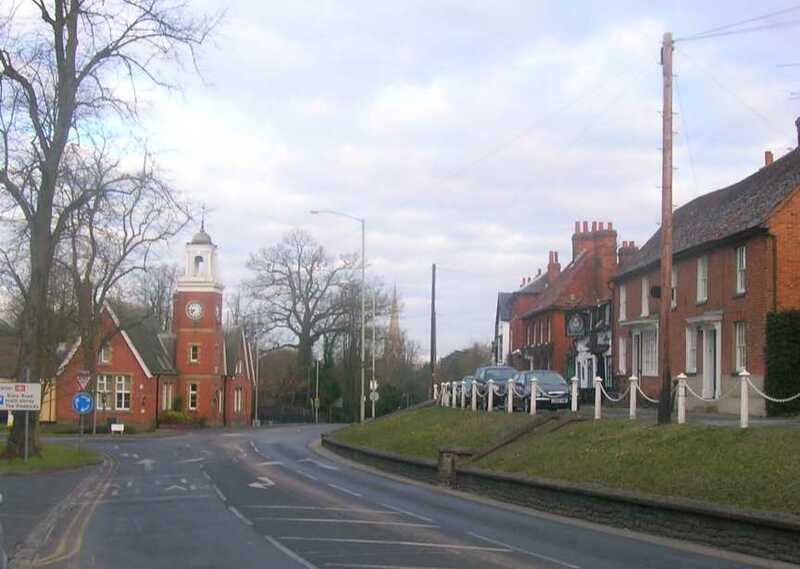 It now appears that the A329(M) was to have formed part of the un-built M31, which would have extended from Amen Corner, with further junctions on the A3095 Crowthorne Road, the A322 at Windlesham, the M3 just east of the current A322 junction, the A320/A245 east of Woking, and finally meeting the M25 at Byfleet. The 'Pathetic Motorways' web-site has a map of the intended route. Time has passed, and Wokingham has continued to grow. The Woosehill development had originally been mooted on the assumption that there would be an Interchange at Ashridge. However, without this link, Woosehill has been pouring all of its traffic onto the Reading Road; northwards towards the M4, and eastwards via Rectory Road and Wiltshire Road and onto the London Road towards Bracknell, thus contributing to traffic congestion and loss of air quality in the area when this could have been avoided. Click here for Council Minutes dealing with Woosehill. 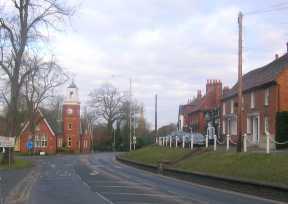 The Public Inquiry into Woosehill, held for six weeks from mid-July 1973, had provoked intense reaction, and it was here that the County Council revealed their preference for a single exit from the site, arguing against other exits because "Barkham Road is already at its maximum capacity, so that any more traffic would overload it possibly by 50 per cent". and an exit on Bearwood Road "would increase the loading on King Street Lane and the traffic signals at Winnersh cross-roads". In Autumn 1973, the Wokingham Times' own reporter Frank Emery wrote a full-page article on Ashridge. He estimated that, contrary to the Wokingham Society's prediction that closing the temporary Ashridge exit would only add 5 minutes to a motorway journey, 'It takes a devil of a lot longer than five minutes to drive from Wokingham to either Loddon Bridge or Amen Corner especially in the morning and evening rush hours, the times when most people will want to get to the M4'. The Berkshire County Councillor for Wokingham, Ken Johnson, was convinced that if Woosehill was approved, Ashridge would be a foregone conclusion, but he was proved wrong. As soon as the Inspector announced his decision on Woosehill, Cllr. Johnson predicted chronic traffic congestion on the Reading Road unless the Ashridge Interchange was built. 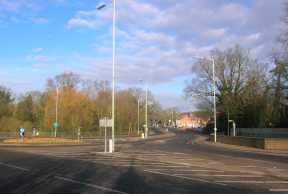 The Town Centre was to have had an Inner Distribution Road, which had been discussed for many years, and plans were announced in 1975, along with plans for a scaled-down Ashridge Interchange to follow the IDR's completion. However, the IDR was never built. Much land was bought and properties demolished to make way for this road, but part of its line remains in the form of an almost continuous line of car parks stretching from Langborough Road in the west to London Road in the east. 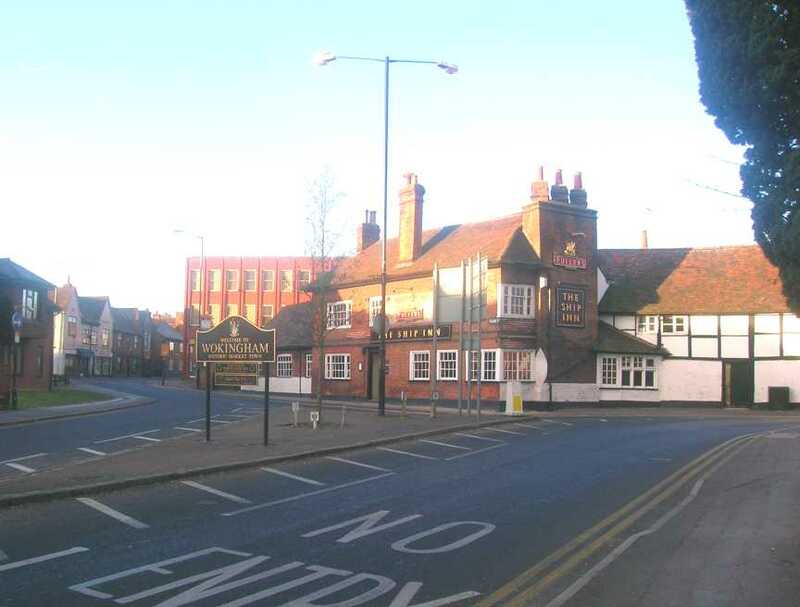 The Inner Distribution Road is unlikely to have made a useful contribution to traffic flow around the town because the Reading Road and London Road would have remained congested unless the Ashridge Interchange were also provided. The IDR would have severed the centre from its surroundings, as has happened at Maidenhead and Reading. The Library now stands in the way of completion. The Central Berkshire Transportation Study ('CBTS') of 1996 did make a review of traffic flows affected by the Ashridge Interchange, but the detailed figures contained in the review were never published. They were merely shown to members of the councils' Steering Group, who may not have had the technical knowledge to challenge some of the flawed conclusions. The published CBTS report was 'qualitative', simply listing roads that would have less traffic and roads that would have more traffic, but without giving numbers.